The NRAO is organizing a series of three conferences for the broader community to discuss potential U.S. futures for radio-millimeter-submillimeter science in the 2020’s and beyond. 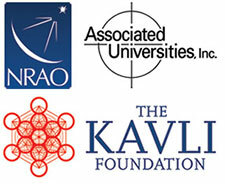 Funded by Associated Universities, Inc. (AUI) and the Kavli Foundation, the first of these meetings will take place 15-17 December 2015 in Chicago at the Hyatt Regency O’Hare. The Science Organizing Committee co-chairs for this meeting are Mark Reid (CfA) and Jean Turner (UCLA). You can also download the Abstract Book.